Eschew the tourist crowds and head to Nature & Wildlife Tours and Raptor Refuge. We've included these beaches for you: Long Beach and Nutgrove Beach. Change things up with a short trip to Shene Tasmania in Pontville (about 42 minutes away). There's still lots to do: take in the spiritual surroundings of St. David's Cathedral, get to know the fascinating history of Battery Point Sculpture Trail, grab your bike and head to The Pipeline Track, and take in nature's colorful creations at Royal Tasmanian Botanical Gardens. To see reviews, maps, and more tourist information, go to the Hobart trip itinerary maker site . Brisbane to Hobart is an approximately 5.5-hour flight. You can also do a combination of bus and flight; or do a combination of car and ferry. Expect little chillier temperatures when traveling from Brisbane in August; daily highs in Hobart reach 15°C and lows reach 4°C. Finish your sightseeing early on the 30th (Fri) to allow enough time to drive to Port Arthur. Discover out-of-the-way places like Cape Raoul and Tessellated Pavement. Port Arthur Historic Site and The Church will appeal to history buffs. Explore Port Arthur's surroundings by going to Eaglehawk Neck (Tasman Arch, Fortescue Bay, & more). Fill the 2nd (Mon) with the natural beauty at Lime Bay State Reserve. For reviews, traveler tips, more things to do, and tourist information, read our Port Arthur trip itinerary planning tool . Getting from Hobart to Port Arthur by car takes about 1.5 hours. Other options: take a bus. In August in Port Arthur, expect temperatures between 15°C during the day and 4°C at night. Finish your sightseeing early on the 4th (Wed) to allow enough time to travel to South Bruny. 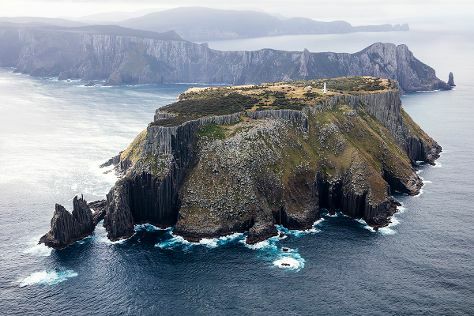 Visiting South Bruny National Park and Fluted Cape Trail will get you outdoors. Bruny Island Quarantine Station and Cape Bruny Lighthouse will appeal to history buffs. Take a break from South Bruny with a short trip to Bruny Island Honey in Great Bay, about 40 minutes away. To plan South Bruny vacation without wasting time, ask Inspirock to design an itinerary. You can drive from Port Arthur to South Bruny in 3.5 hours. In September in South Bruny, expect temperatures between 18°C during the day and 7°C at night. Finish your sightseeing early on the 7th (Sat) to allow enough time to travel back home.